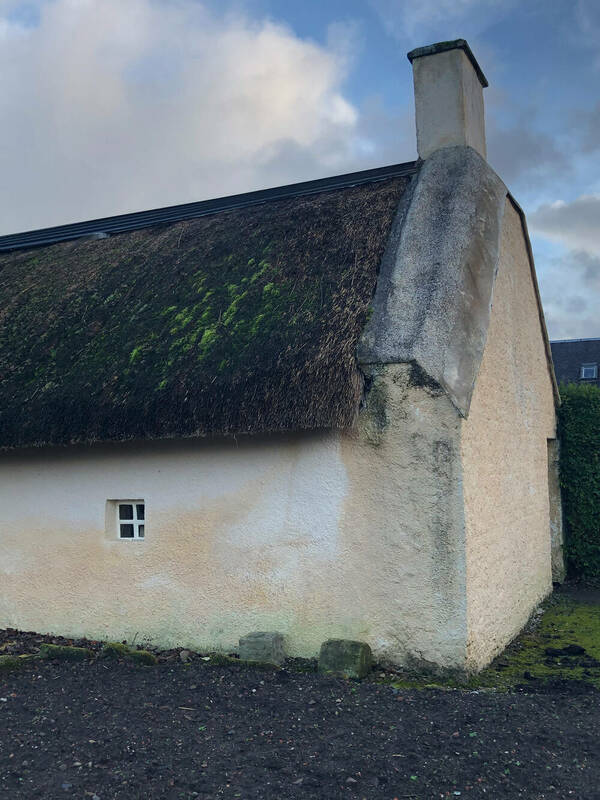 We urgently need to repair the roof, walls and chimney of the Burns Cottage, the birthplace of Scotland’s national bard, Robert Burns. 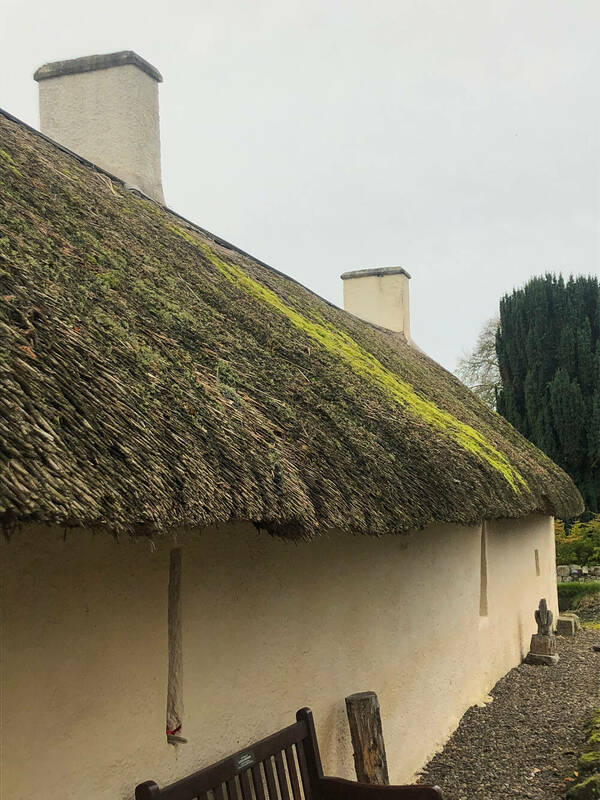 At the back of the cottage, the thatch has developed significant tears and has worn away; towards the front, moss is beginning to grow, collecting rainwater and rotting the thatch underneath. The north-west gable is starting to crack and pull away from the rest of the cottage, letting the wind and rain inside and damaging the interior plasterwork. We need to act now to protect the cottage before it’s too late. 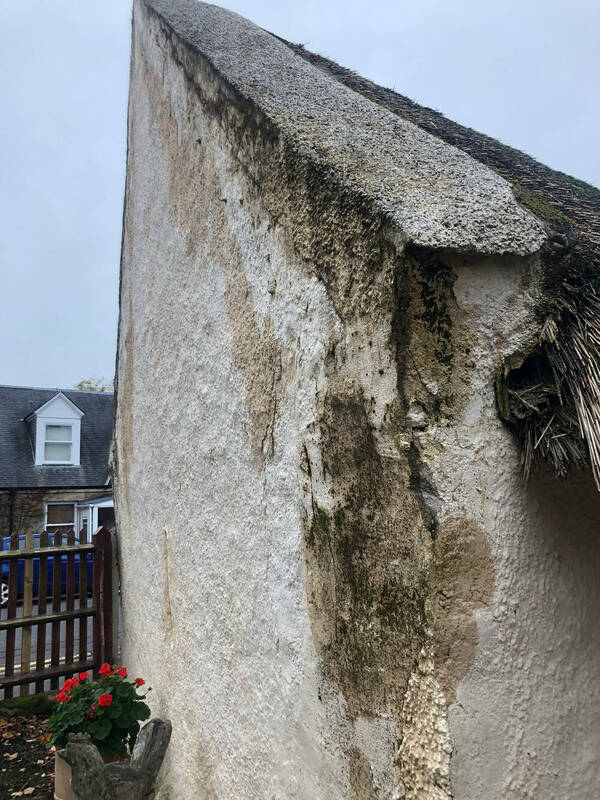 Plans have been developed to repair the wall at the end of the cottage, which will be propped up and pulled back in line with the rest of the building. Cracks along the walls and windows will be filled, the roof rethatched and the outer walls re-limewashed, weatherproofing the cottage and protecting it for future generations. We must raise £100,000 to carry out this work. Help us ensure the cottage remains an inspiring place for Scots and Burns fans the world over to visit, experience and love. Donate today and help us protect the legacy of Ayrshire’s most famous son.